Football (also known as soccer to some travelers) has been an essential part of Barcelona’s culture for quite some time now. A tradition that originated all the way back in 1899, this game has developed over the years to become the thrilling experience that it is today! If you’re planning a vacation to Barcelona, make sure to attend one of these exciting FC Barcelona games to help the locals here cheer on this talented team to victory. There are a few things you’ll need to know when purchasing your football tickets in Barcelona, so learn all the necessary information first so you can enjoy watching these amazing Barcelona home games! The Barcelona football schedule is usually confirmed and released to the public every year during mid-July. You can then view the list of teams that Barcelona will be playing to determine which Barcelona home games you want to attend. You can view these fixtures on the official FC Barcelona website once it’s available and even sign up for their email updates to have it sent directly to your inbox. Prices for these games depend on the significance of each match. The cost can range from 15 Euros (approximately $17.00) all the way up to 247 Euros (or about $281.00). These prices also depend on where you want to sit; general admission is much more affordable than front row seats. Check the prices online to see which games work best for you during your Barcelona vacation. All the Barcelona home games are played at the magnificent Camp Nou, a colossal stadium that can hold up to 99,354 cheering fans! The largest stadium in all of Spain, this enormous establishment, constructed in 1957, is located at C. Aristides Maillol, 12, 08028 Barcelona, Spain. Complete your vacation of a lifetime by staying in the best accommodations while you’re in town to experience the incredible FC Barcelona games! bizFlats Vacation Rentals provides some of the most luxurious apartments, villas, and lofts, all located throughout the most picturesque parts of the city. Choose from staying in a beautiful spot with views of the beach or right in the heart of the bustling city. Each property is equipped with the finest furnishings and amenities so you’re bound to feel right at home. Check our availability today to find the most incredible place to stay during your visit! If you’re looking for an action-packed evening of heart-racing excitement and thrilling suspense during your vacation in Spain, make plans to see one of the world-famous FC Barcelona games! Camp Nou, the Barcelona Football Club stadium, comes alive as the energy and competition build on the field. Almost 100,000 fans crowd into Camp Nou every game to cheer on their beloved Barcelona soccer team and athletes. While you’re visiting this electrifying city, you might be wondering what is the best way to obtain Barcelona match tickets. There are five good methods to purchasing these tickets; discover which one works best for you and get ready to witness the emotion and enthusiasm connected with the FC Barcelona games! The most efficient way of buying your Barcelona match tickets is to purchase them online. The best source is the official FC Barcelona website. There are other good sites for these tickets as well, but always be aware of fake or fishy websites. You can call the Camp Nou Ticket Office if you would rather not purchase your Barcelona match tickets online. If you’re calling from outside of Spain, use the number +34 902 18 99 00 to reach the Camp Nou ticket office. An operator will walk you through your purchase and will inform you on any other information you need to know, such as game times and Barcelona ticket prices. All you need is a debit or credit card to buy your tickets from a cash machine! The system is called “ServiCaixa,” so keep your eyes peeled for this certain machines throughout the city; the program will give you step-by-step directions to make this process smooth and easy. You can buy your tickets directly from the Camp Nou ticket office if you prefer to do it that way. They are open all week, but it is generally recommended to pick them up the day before the match. 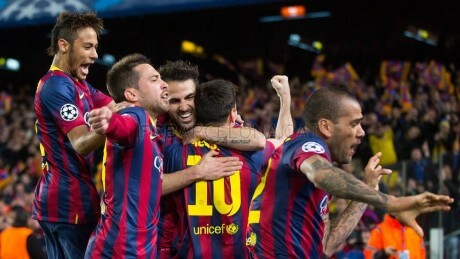 FC Barcelona games sell out fast, so get them as soon as you can! One of the absolute best methods of buying your Barcelona match tickets is to call our office at bizFlats (+34 934 925 721). We always have tickets available- even for games that are sold out! We have inside contacts with FC Barcelona who never fail to get us the tickets we need; we can even score Real Madrid tickets! Here at bizFlats, our mission is to create the best possible Barcelona experience for all of our visitors, so be sure to stay in one of our amazing vacation rentals while you’re in town to see the Barcelona soccer team. We have numerous, luxurious rental properties located throughout the Barcelona area, all equipped with the finest furnishings and amenities. Our various lofts, villas, apartments, and townhomes can comfortably fit up to a large number of people. Don’t hesitate- check our availability today to start planning an unforgettable getaway! In 1899 a new modern culture of leisure was born by a group of largely non native men living in Barcelona who were interested in starting a sports club and playing what were then largely British sports like football. Thus, FC Barcelona was born, and its roots are strong in the club’s culture today, who loves to celebrate international talent, but has also built a extensive Catalonian culture. Founder, Joan Gamper, was undoubtedly one of the first FC Barcelona legendary players, and not just for his skill on the pitch, but for his devotion to the growth and legacy of the club. Without Gamper, there would be no further FC Barcelona legendary players to celebrate. Carles Comamala – Another one of the club’s founding players, Comamala was a friend and teammate of Gamper. Born to a Basque mother and a father from the Canaries, Comamala was actually from Madrid and brought up in Catalonia, making him a perfect fit for Barcelona’s early days when it was mostly made up of expats. And of course, the fact that he was a prolific striker. Emili Sagi-Barba – Born in Argentina to Catalan parents, Sagi-Barba is considered one of the best FC Barcelona legendary players from the pre-Civil War era. Playing left wing, he was one of the first players to ever rock this side of the field, and become an expert in penalty and corner kicks. Àngel Arocha – Considered one of the leading goal scorers in the Club’s entire history, Arocha’s record was 215 goals in just 207 games. He started his career as one of the FC Barcelona legendary players in 1927 and, from Santa Cruz, was an undoubted first choice striker for the club. César Rodríguez – Yet another of the FC Barcelona legendary players, Rodríguez was a fantastic goal scorer during his career from 1944 – 1951, and was part of the all star forward line of the 1950s. His best season was 1947 -48 when he scored 27 goals in 24 games, and was known for his powerful headers. Sergi Barjuan – A Barcelona native, Barjuan is a product of the club’s youth soccer program and made his debut with the pros in 1993 as a first choice starter. He went on to play in the 1994 World Cup in the USA in his prized fullback position. These FC Barcelona legendary players are just a small selection of the many team members over the years that have given this club such a successful history and loyal following. These men, especially from the early years, are even responsible for creating the rich and lively culture around football in Barcelona, something it would be hard to imagine this city without. 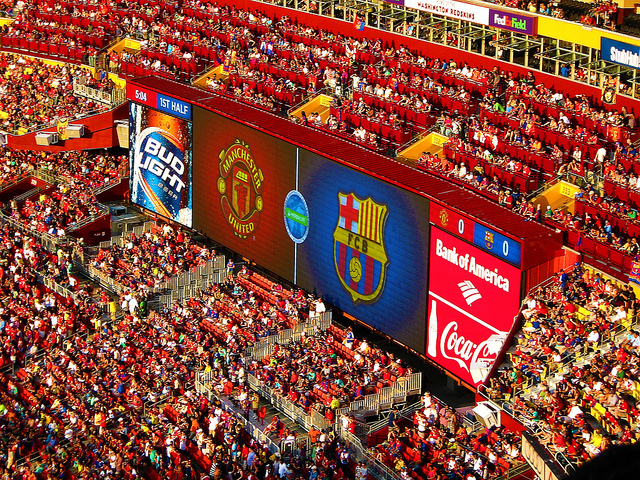 Be sure to catch a game at Camp Nou the next time you’re in town during the season! If you’ve ever happened upon Barcelona during a football match then you may have been surprised to see the red and blue streets filled with ecstatic fans cheering as if their very lives depended on victory. Catalonians couldn’t be prouder of their all-star team now sporting football heroes such as Lionel Messi, an idol of many Spanish youths, and soccer players around the world. Barcelona Camp Nou was the team’s very first stadium in its inaugural year of 1957, carrying some of the team’s richest history in its bleachers as well as on the turf. 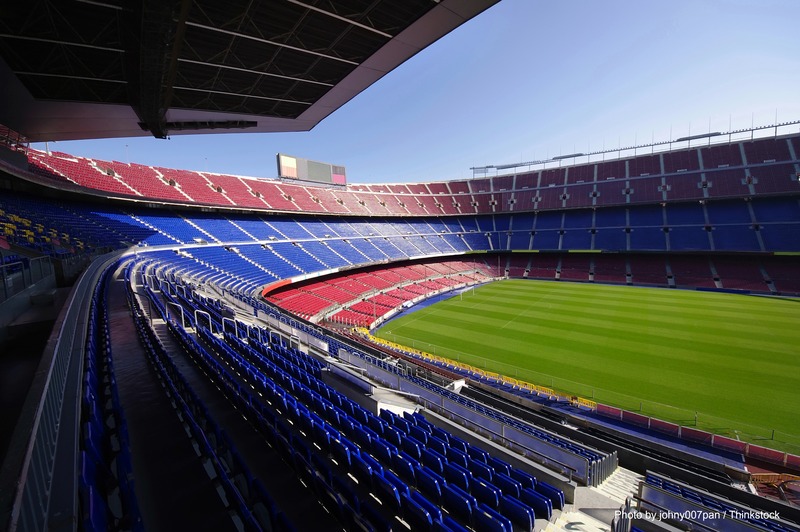 Soccer fan or not, taking a tour of Barcelona Camp Nou will provide a lot of insight into the heart of Catalan culture. Constructed between the years of 1955 and 1957 using mainly concrete and iron, the project cost was a staggering 288 million pesetas, meaning the team would spend its first years of existence in great debt. Nevertheless, it was a point of great pride among the team members and coaches, as well as the expanding local fan base that was quickly growing beyond what could be accommodated at the stadium. With a capacity of 99,354 it is now the biggest stadium in all of Europe, but still the crowds overflow into the streets and pubs of the city. When it initially opened it held just over 93,000, which was increased to 120,000 in 1982 to host the FIFA World Cup. New regulations forced the stadium to reduce its capacity in the late 1990s. There are many notable facilities within the stadium that are cause for its official five-star status. 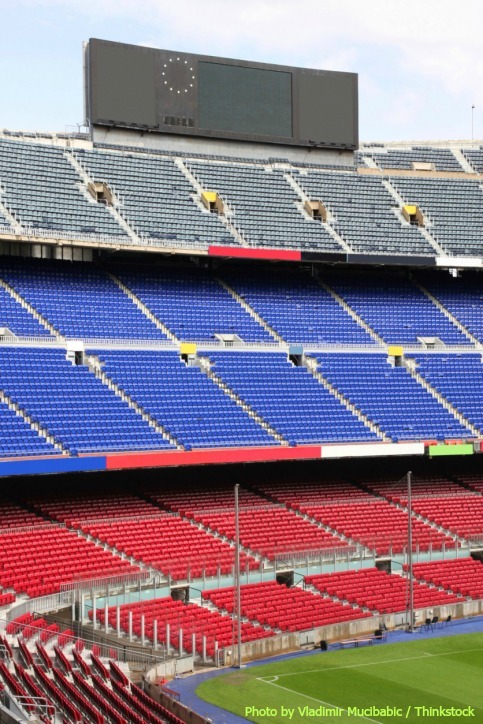 On the tour, you will get to see all of them including the chapel, the presidential box, VIP lounge, Press and television rooms, veteran players area, and the FC Barcelona club museum. Touring Barcelona Club Nou has become one of the most popular things to do upon visiting the city and is a chance for visitors to get a behind the scenes experience of this Spanish landmark. Check out their impressive trophy room literally filled with accolades; step foot on the actual grass of FC Barcelona, and check out the coveted Messi Space covered with the Argentinian superstar’s accomplishments. You can also visit the press room and visitors’ dressing room, and see the players’ tunnel and commentary boxes. There are truly endless places throughout the stadium to explore that your general admission ticket would not allow you to see, which makes tours all the more appealing to real sports fans. If you’ve growing up playing football then a visit to Barcelona Club Nou, whether for a tour or a match, will be a high point in your romance with the sport. There are few places as crazed over this game than Spain, and you’ll be left without any doubts about what committed fans actually look like. It is ideal to see this place both empty and quiet where you can just appreciate its legacy, and yet bustling and crazed during game time so you can witness what it was built for. If you’re planning a trip to the city, be sure to look into these short-term rentals that will make the perfect spot for your pre or post game party! …or random useful facts you might need to know when meeting a Catalan! Remember and remember! You are not in Spain! You are in Catalunya. When asking a question, “So here in Spain, what time do you usually have lunch?” the answer will follow “Well…I am really not sure about Spain… But here, in CATALUNYA, we take a long break after two o’clock.” It is useful to know thatParlament of Catalunya defines Catalunya as a nation, and the Spanish Constitution recognizes Catalunya’s national reality as a nationality. Therefore, saying “I am Catalan, not Spanish” is politically correct! You can find the main buildings of the Autonomous Government and the Barcelona Town Council at the Plaça de Sant Jaume in the historic area of Barri Gòtic, where you might catch a glance of beautiful architecture or taste the rebel spirit of another loud local workers’ or students’ demonstration! Catalans prefer rock and roll a little bit more. A scene called ‘rock català’ has become famous in the last 20 years with some of its most popular bands as Lax’n’Busto (translation: an old type of laxative), Els Pets(translation: The Farts), Sangtraït (translation: bloody bruise), or Sopa de cabra ( translation: Goats Soup). With names like that, lively imagination and original music are assured. Listen and view a song by the Goats Soup here! 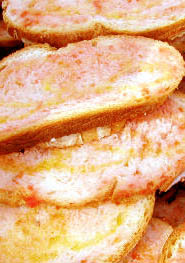 One dish that will accompany practically everything that is put on table is Pa amb tomàquet a different kind of bread with tomato sandwich. They cut tomato in two halves, rub it into white toasted bread, season it with olive oil and salt, and then throw the rest of tomato away! Usually accompanied by pernil or embotit ( ham or sausage), it is my favorite lunchtime endeavour. If you have a sweet tooth, find out how to prepare the irresistable pudding Crema Catalana yourself – right here! taking in account the amount of ‘X’ letters used! Catalan is a language in its own right, co-official with Castilian Spanish in Catalunya, Valencia and Balearic Islands. And the good news is that the government of Catalunya offers to anyone to study Catalan language for free. Click here to find out! Don’t need a new years party to pop a bottle of sparkling wine! A glass of a bubbly Cava is a popular addition to the daily breakfast menu in any local tapas bar, especially on a hot summer day. Quite a cheerful start of the day! And you were curious why people smile a lot. regime 1939 – 1975 did lots of harm to Catalunya, suppressed any kind of public activities associated with Catalan nationalism and democracy such as publishing books on the matter. Even the use of Catalan language in government-run institutions and in public events was banned. Scary! to celebrate and practice the national sport! 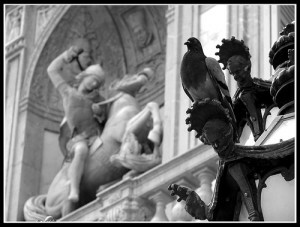 And no, it is not bull-fighting – it is definitely football. Since the moment I saw a mother teaching her little baby boy the anthem of FC Barcelona, I realized the strength and patriotism this sport carries for Catalans. Here in Barcelona you can sense the power of the football industry like nowhere else. Not only you can buy underwear with FC symbols in every little souvenir cornershop, you can also sign up for a long years waiting list to buy a season ticket in the stadium! For Catalans, it is worth waiting, as it is all about the game here in Barcelona. And when they win, the whole of Catalunya is celebrating a feast like winners of real war! Visit FC Barcelona to find a ticket to the next game!